March23, 2018, Travel & Leisure Industry Awards Ceremony & 16th Anniversary Celebration successfully held in Swissotel Beijing Hong Kong Macau Center. The leaders of the magazine such as the editor-in-chief Ms. Xiao Yang of Travel & Leisure Omnimedia, General Manager of Beijing Lingjie Culture Media, Publisher of "Travel & Leisure Golf" magazine, Chief Executive officer of JUN TRAVEL, Mr. Luo Ping attended the meeting, Mr.Jaime Chomali ，The Ambassador of Embassy of the Republic of Chile，Mr.Grigor Porozhanov，The Ambassador of Embassy of the Republic of Bulgaria，Mr. Dušan Bella，The Ambassador of Embassy of the Slovak Republic in Beijing，Mr. Miao Kwong Lee Hon Chong，The Ambassador of Embassy of the Republic of Mauritius，Mr.Mohamed Faisal，The Ambassador of Embassy of the Republic of Maldives，Mr.Bayney Karran，The Ambassador of Embassy of the Republic of Guyana，Mr.John Aquilina，The Ambassador of Embassy of the Republic of Malta，Dr. Karunasena Kodituwakku，The Ambassador of Embassy of Sri Lanka，envoys from the United States、Canada、South Africa、Cuba、Macedonia、Mexico were invited to celebrate the festival! As one of the most authoritative award of China's tourism and leisure industry; selection lasted one year, it is an objective and comprehensive selection for global tourism industry. It has abroad and far-reaching significance and influence in the leisure and tourism industry. In this awards ceremony, diplomatic envoys from the embassies of various countries in China, guests of foreign tourism bureaus, hotels, airline companies , automobile industry, outdoor activity, SPA salon, IT industry,fashion and luxury industry witnessed the grand ceremony together. The editor-in-chief of Ms. Xiao Yang of "Travel & Leisure" Omnimedia made the opening speech for the award ceremony; General Manager of Beijing Lingjie Culture Media, Publisher of"Travel & Leisure Golf" magazine,Chief Executive Officer of JUN TRAVEL, Mr. Luo Ping introduced the latest developments of new business of omnimedia platform of Travel & Leisure - In the past 2017,we successfully translated into omnimedia platform，with two magazines, three websites, four WeChat official accounts two APP, made progress in both content and operation, with original video launching successfully.The number of fans attention, market cooperation and other aspects of the platform have been significantly improved.At the same time，the team's offline activities and O2O operation are more mature.So that we are more confident to provide all-round marketing solutions for all kinds of customers. Over the years, it is a kind of tradition for diplomatic envoys of all countries to attend as guests the awards ceremony of travel & leisure magazine, as diplomats and travel experts who have traveled around many countries and travel destinations, they are convincingly authoritative and fair. The diplomatic envoys who have participated several times in the grand awards ceremony of travel and leisure industry expressed their feelings on the spot: Travel & Leisure Industry Awards is not only an annual event of tourism industry, but also a festival for diplomatic envoys of all countries to gather together every year and providing a very good exchange platform for everyone to communicate , it is even more of an open forum of travel and leisure industry! The envoys have suggested that the awards ceremony should be released as official news of the embassy. 21 awards will be released one after another in this year's Travel & Leisure Industry Awards Ceremony, after the awards ceremony, the guests enjoyed the afternoon tea carefully prepared by Beijing Hong Kong and Macao Center the Swiss hotel, the final lottery session promoted the award ceremony once again to a climax. 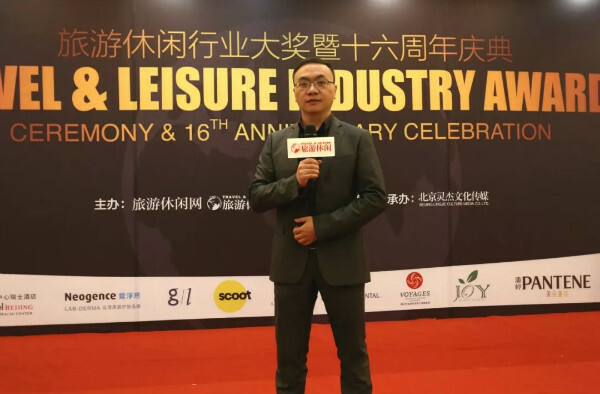 Following the Travel &Leisure Industry Awards "Beijing awards ceremony", another awards ceremony will be staged gorgeously on March 29 in Shanghai .